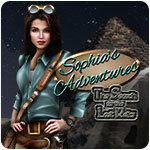 Sophia's Adevntures - Search For The Lost Relics Game Review - Download and Play Free Version! The museum curator's office has been broken into and a valuable old map has been stolen. It carries the locations of priceless relics which now need to be recovered. Set on an adventure with Sofia across to fight the hordes of dangerous beasts and evil villains who have stolen the relics. 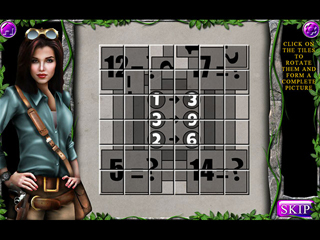 It doesn't stop at this, you have to find keys to break locks, discover clues and crack the codes to open the doors to the find the stolen ancient treasures. Play the game by making chains of 3 or more connecting similar blocks. The longer the chains the more is the power to your attack on the ferocious creatures that are blocking your path. Collect daggers to fight the villains by dropping them to the bottom of the screen. 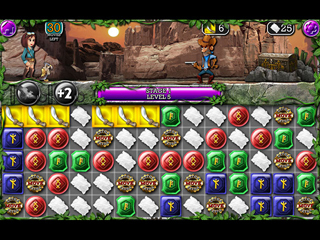 Power ups like colour bombs, line burst or box bomber will help you in your quest.